Traken Plus is a training and competency management platform that is designed with integration in mind to minimise effort while maximising compliance outcomes. It is developed in a modular approach with integration into other systems at its heart. Traken's login solution provides a simple card-base login system that integrates with LineupBoard live so that supervisors can know who is available to allocate to priority equipment at the start of shift and reduce downtime from unmanned idle equipment. Cards used with Traken Login can be shared with other systems such as Pegasus to avoid duplication. Traken Take 5 automates the collection of Take 5 compliance data into a centralised database that provides analytics on completion, time to complete, etc. that simply are not available in a paper based system. Updates to the questions can be managed centrally and pushed to all users without the need for reprinting booklets. It can be integrated into Lineup to communicate system compliance or used stand-alone. 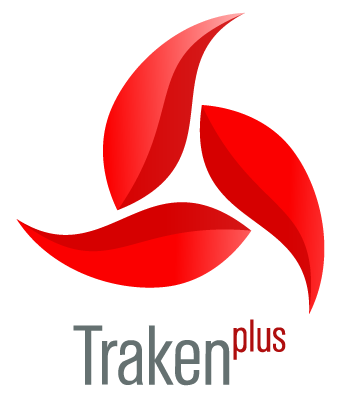 TrakenPlus Training Management will provide a web-based solution to keep all training and competency information together in one place that can be searched to easily find documents and competency information, along with analysis tools to understand gaps in your workforce and teams. We have spent considerable time in consultation with industry experts and our partners to ensure that we have a development plan that addresses the shortcomings of other systems while maintaining our exceptional user experience that our clients using our other products and services enjoy. Traken Training Management will integrate with Training Modules provided by external delivery partners such as SkillTrain, send live competency data to Lineup, and all documentation will be managed within the Anthem Document Control System. We are currently seeking an interested mining partner to develop this product to ensure the design meets or exceeds alternative systems on the market. Job Management Database, Vastuu, Included.